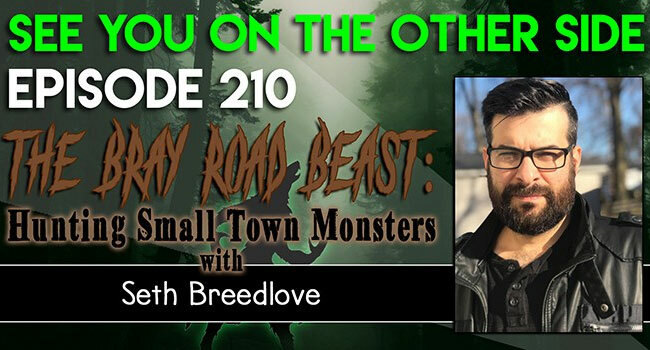 The latest episode of the See You on the Other Side podcast features an interview with Small Town Monsters filmmaker Seth Breedlove, who has been busy putting the finishing touches on his latest documentary The Bray Road Beast. Small Town Monsters tells the stories behind notorious legends like the Mothman, the Boggy Creek Monster, the Flatwoods Monster, and now, Wisconsin’s own werewolf known as the Beast of Bray Road. Breedlove discusses weird happenings while filming on location in Wisconsin, how a particular interview gave him a much darker perspective on the legend, the decision to style The Bray Road Beast like a Hammer horror movie, and much more.